I haven't start the backup action on my Yahoo blog. Once you press the backup button, your account will be freeze and you can no longer do anything on your blog. That's so weird! So better do it later and now to start a new blog life here. 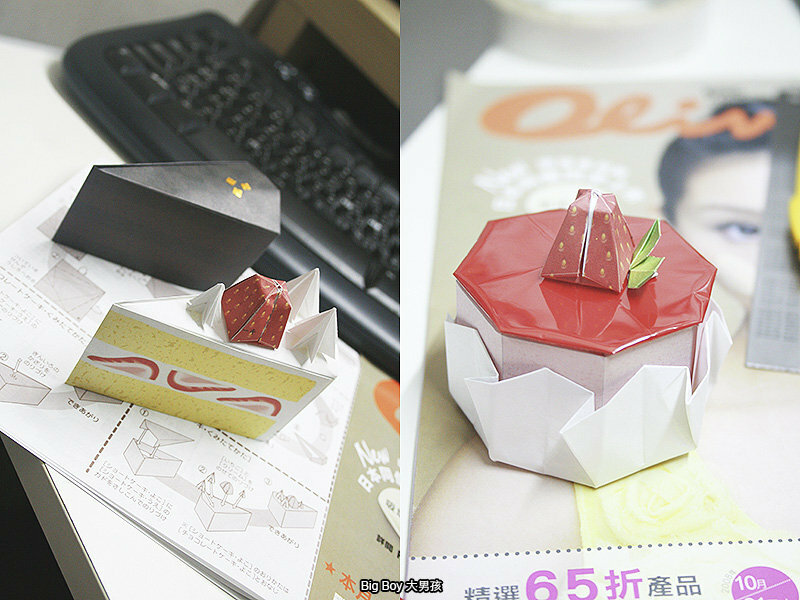 Origami always fascinate me for its versatility, low cost & fun of course. I can play it anytime, anywhere and in any weather conditions (If you live in sub tropical area you will know what I mean). I started it at young and it kind of trained me up with some skills. When I first saw paper craft, I love it at first sight. First time I encounter paper craft is because of a Canon PIXMA printer. Canon offers an online resource Creative Park and you can just simply download the template, print it and then start making your craft. But this DIY gift was not associate with Creative Park. Instead I came across with a pack of cake paper models in a stationery shop. I bought it and made my fiancee the first prsent. 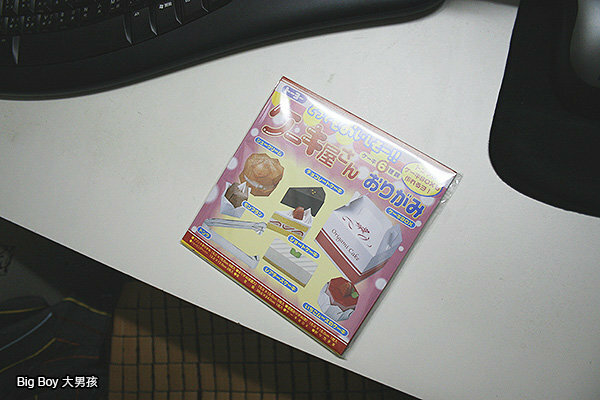 There are papers for 6 different cakes, a food clamp and a paper box. 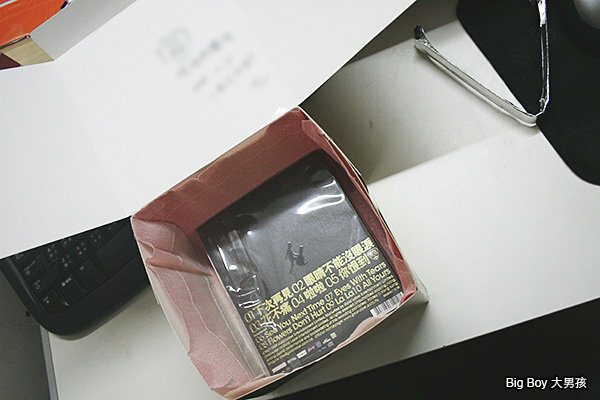 Its packaging is no difference to a standard origami paper pack. You don't need to be creative because it is a ready-to-fold design. All you need to know is how to fold & glue. I didn't use the provided paper box. 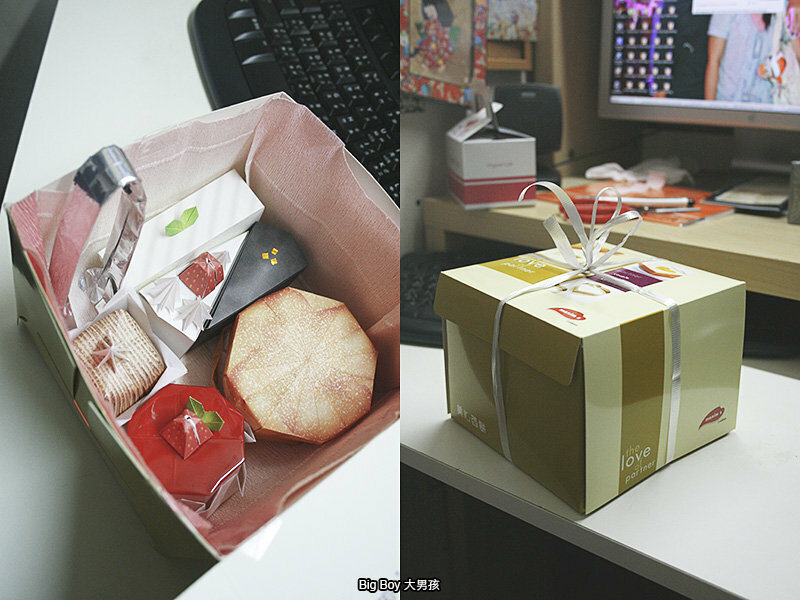 I took a real cake shop box for more fun. Some art paper to decorate the box is always nice. Then I hide a CD album that she likes at the bottom of the box. 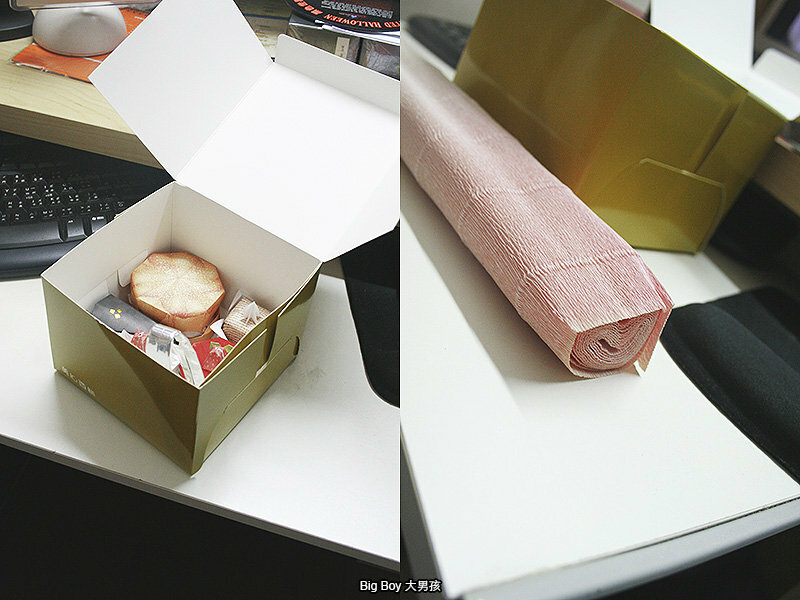 Place the cakes nicely and the clamp too, give it a good wrap and a box of "Real cake" is ready for delivery!